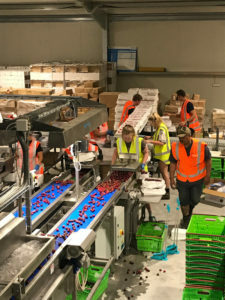 For Central Otago’s Hortinvest, making the switch to Ezypay has been the cherry on the top in getting its business processes sorted. Hortinvest owner Sharon Kirk has been using Ezypay’s services for almost 14 years, across several different horticultural businesses. She says what she loves most is how simple the Ezypay team make the whole payroll process. 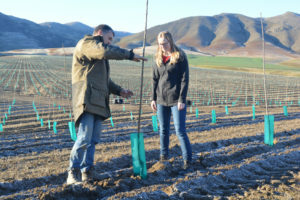 Hortinvest works with investors wanting to enter the New Zealand horticultural industry and is run by Sharon and her husband Ross. The couple also contract to a cherry company called Pure Pac that grows, picks, packs and exports cherries. During the cherry picking season, staff numbers can increase to more than 250 people on the payroll. Many of these staff are backpackers, who may only work for a week, before heading to their next destination. Sharon says that having a high number of casual staff means Pure Pac’s payroll is always changing and needs extra attention to detail. She says that working with Ezypay saves time and overhead costs as well. Although the number of staff on the payroll at Hortinvest is smaller than Pure Pac, Sharon says outsourcing the company’s payroll was still a viable solution, financially.